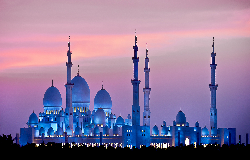 Abu Dhabi (capital of UAE) has a diverse and multicultural society and the second most populous city in the UAE. Our tour guide will provide you ancient history of the city and its move towards urbanization and how it has become expensive and luxurious city for the expatriates. The magnificent Sheeikh Zayed Grand Mosque in one of the world’s largest where visitors can enjoy architectural work of art. Eight kilometers pristine corniche features walkways, cycle path and access to stunning Blue-flagged Arabian Gulf beaches. Famous Fast and Furious Building and cities architecture, we assure you nothing will be missed out on your tour to the city. Ferrari World Abu Dhabi is the world’s first Ferrari-themed park and the world’s largest indoor theme park Offering a world of celebration, inspiration, and innovation. A variety of attractions, thrills, and journeys make the park fit for every member of the family. Ferrari World Abu Dhabi is located on Yas Island on the northeastern side of Abu Dhabi’s mainland. Yas Island is one of the UAE’s greatest leisure hubs with a wide range of accommodation and spots. The island also holds the Yas Marina Circuit which hosts the Formula One Grand Prix. We make sure with our experienced and hostile staff that you may not miss a single glance of the Ferrari world and will made your day that you will never forget.